A convenient and complete money management experience seamlessly integrated into the White River Credit Union’s online banking. MoneyDesktop includes features like Bubble Budgets, Expense Tracking, Debt Management, and more. Not only will you be able to see all your financial accounts, balances, and transactions in one place – you will be able to visualize and interact with that data in new and meaningful ways – all conveniently and securely within online banking. Login to HomeTeller to start using the MoneyDesktop today! MoneyDesktop delivers a better way to budget. 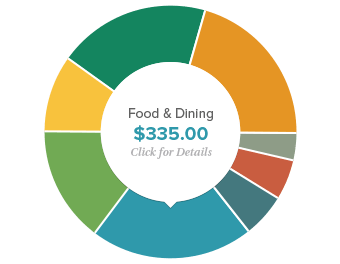 Visualize and interact with your budgets in a more meaningful way – using bubbles! MoneyDesktop allows you to create a customized financial plan that fits your lifestyle. 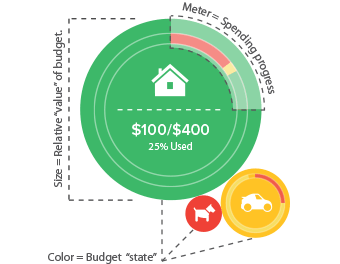 This includes data visualization that reflects debt details – allowing a user to quickly see which debts are being paid down and for how long. At some point in our lives, most of us have borrowed beyond our means. If you’re in over your head, MoneyDesktop is designed to give you step-by-step instructions on how to get out of debt, and stay out for good. For those users that have a lot of debt and slow changes each month, net worth can be a daunting report. The Net Worth app allows you a contextually accurate data visualization of your assets vs. liabilities. To start using the NEW MoneyDesktop today!